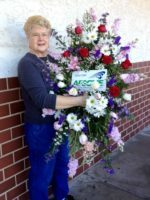 This Stunning White Floral Arrangement is professionally designed with flowers such as roses, mums, carnations and alstroemeria, and delivered in the greater Phoenix area or across the country. White is the color of purity and sincerity. 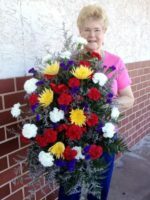 Sending a Stunning White Floral Arrangement for a funeral service, Celebration of Life, for New Year’s, for a veteran or for a wedding gift conveys your love and support. 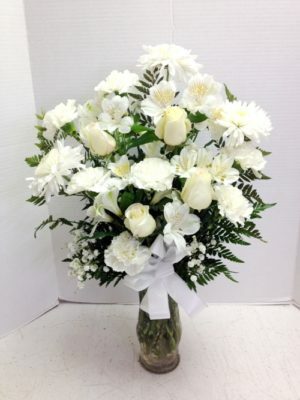 This Stunning White Floral Arrangement is professionally designed with flowers such as roses, mums, carnations and alstroemeria, and delivered in the greater Phoenix area or across the country. 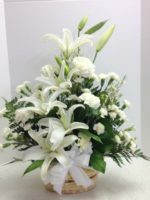 You might prefer our White Casket Cover or our White Lilies and More.